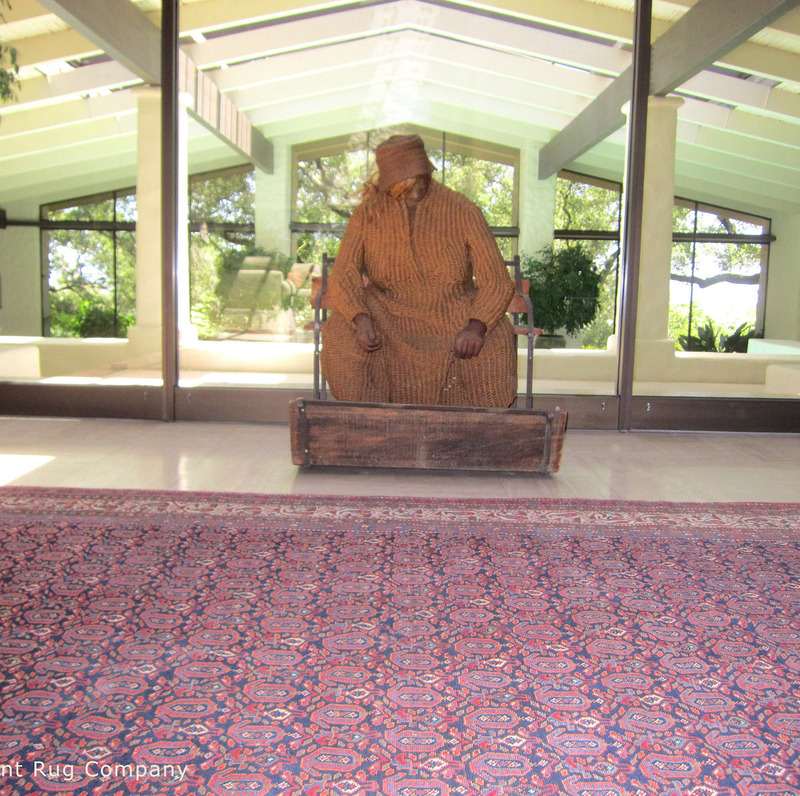 Claremont Rug Company has had the privilege of working with many clients in Santa Rosa since the company’s founding in 1980, helping families furnish their homes with unparalleled collections of art-level antique carpets throughout Santa Rosa. 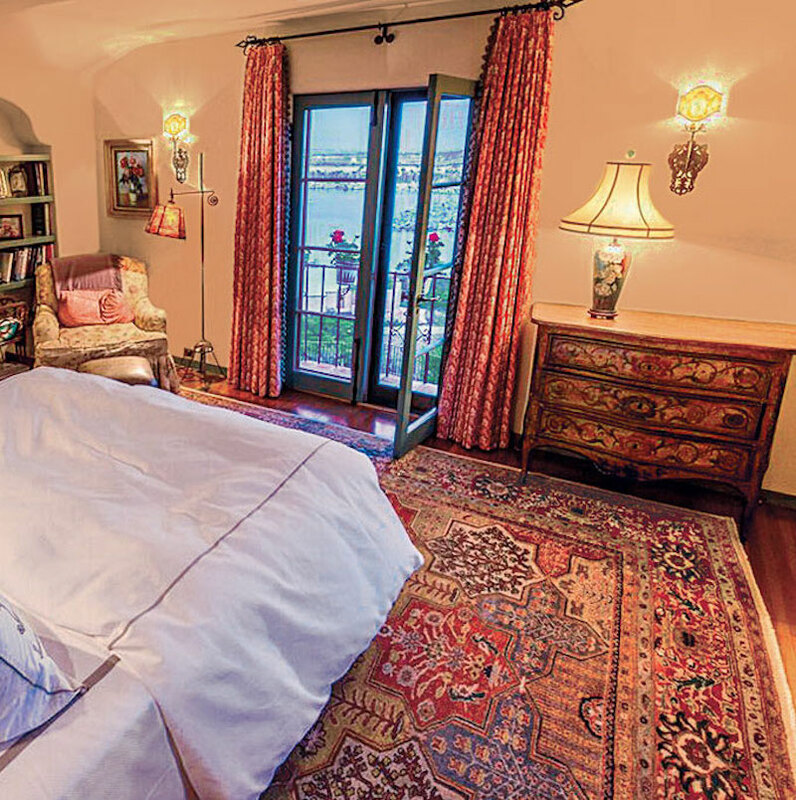 We have assisted our Santa Rosa clients in enriching the decor of their homes in the most exclusive communities such as Bennett Valley, St. Rose, Russian River Valley, Montecito Heights, Alta Vista and Gold Ridge to name a few. 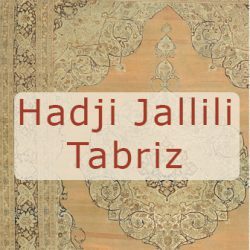 We invite you to contact us to arrange a home walkthrough/consultation or rug showing. 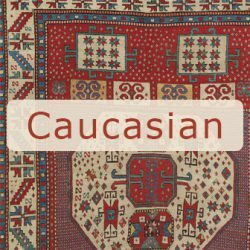 Our highly professional, vastly experienced staff will make your experience of working with us virtually effortless, whether you visit our San Francisco Bay Area gallery complex or take advantage of our In-Home Shopping Service from your home in Santa Rosa or anywhere else in the US. 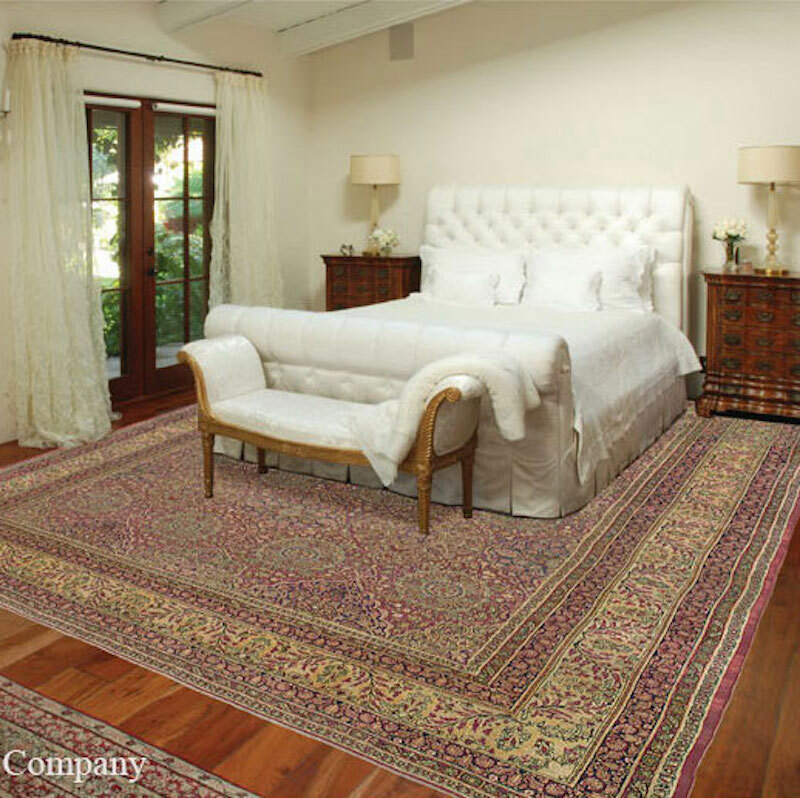 A Very Rare 175-year-old Persian Camelhair Bakshaish Carpet Adds Texture to this Modern Setting. 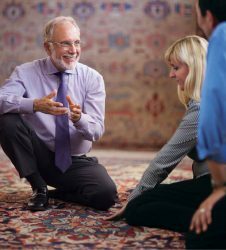 Many times our client’s find when they begin living with just one antique art-level carpet they develop a growing desire to collect these stunning pieces of masterful art from the 19th and early 20th century. 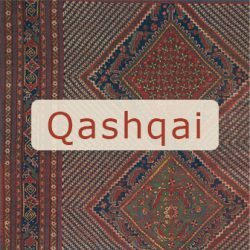 Pictured to the left (above on mobile), see how a very rare 175-year-old Persian Bakshaish carpet with a field of undyed camel’s hair adds warmth and texture to the economy of this modern setting incorporating mud walls, pre-Columbian pottery, and a non-figurative painting. 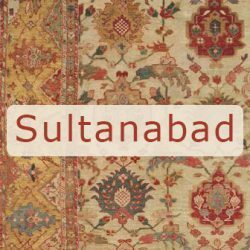 From Queen Anne style homes to distinguished Georgian estates to sophisticated French Country style ranches and every architectural style in between, for nearly four decades Claremont Rug Company has been assisting in enlivening client’s homes with antique art-level Oriental carpets. 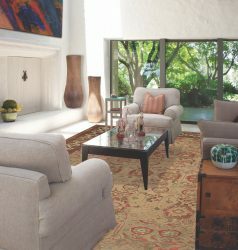 Stunningly Crafted Vintage Persian Kashan Carpet Supports the Creativity Celebrated in an Art Collector’s Living Room. 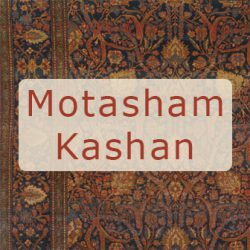 Whether you are looking to decorate your Nielsen Ranch estate home or a stunning Winery estate in Bennett Valley or a Craftsman-style home in the picturesque Skyhawk area, our collection of breathtaking one-of-a-kind, handmade antique Persian and Oriental carpets pair perfectly with any style home. 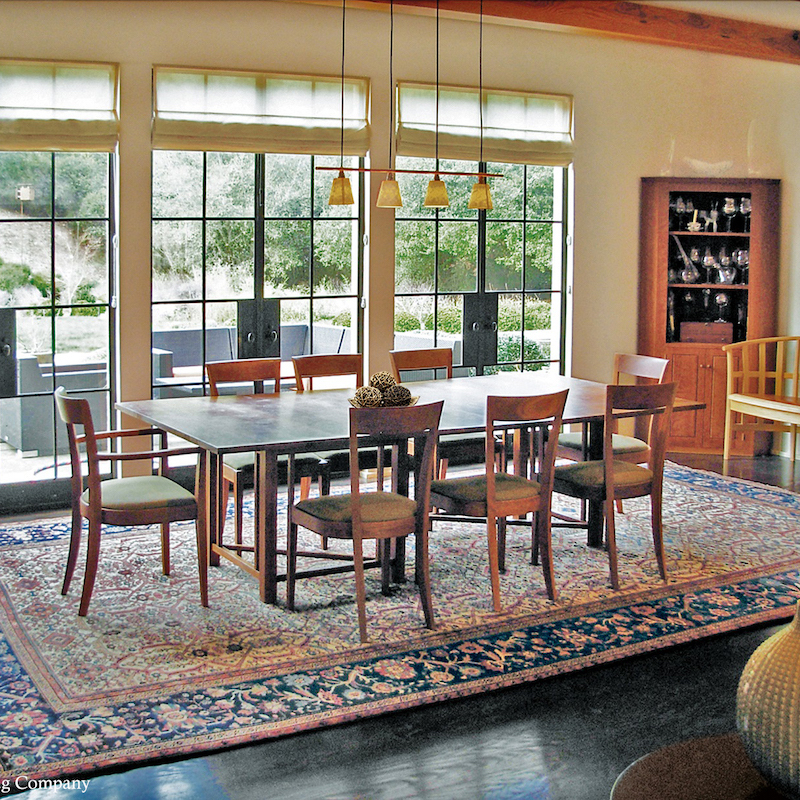 The Santa Rosa client’s living room, pictured to the right (above on mobile), is an excellent example of how a collection of antique art-level carpets can bring a room’s design new life. 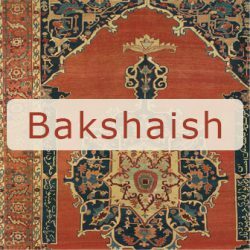 In this creative art collector’s living room you will see how conversation and activity groupings are created with the use of a series of vintage Persian carpets of different styles. 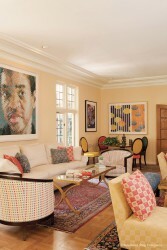 A small room size Kashan rug holds together the seating area under the silkscreen by American photorealist Chuck Close, echoing its colors and detail work.